Greek Neoclassical ambient project Chaostar has just released its new studio album “The Undivided Light” via Season of Mist. Chaostar was conceived out of Septic Flesh guitarist Christos Antoniou’s longing to create music that reflects more on his aspect as an academy trained composer and go beyond the possibilities that his orchestral arrangements for Septic Flesh offer. “The Undivided Light” comes as an invitation to a fascinating musical journey around the globe, which is equally true for space as well as time. 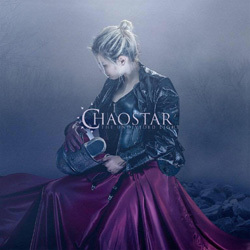 With this fifth full-length album, Chaostar take their experimentation another step further. Classic orchestration, traditional instruments, electronica, rock, and more are deconstructed by Christos only to be reassembled into something fresh and exciting. This breathtaking album is available both in digipak edition CD and Gatefold double LP versions.